We hope to see you there to celebrate our student's accomplishments! Kindergarten Registration is just around the corner! Bring your incoming kindergartener, proof of residency, birth certificate and immunization records to EPS on Saturday, April 8th from 9:00 am to Noon. Please enter at the back of the building by the cafeteria. We are looking forward to meeting our new kindergarteners! Don't forget to make your reservations for lunch. March is up and ready for sign-ups! Kindergarten registration for in-coming kindergarteners for the 2017-18 school year, is scheduled for Saturday, April 8th from 9:00 am to 12:00 pm. You will need to bring your child, their birth certificate and vaccine records, as well as proof of address (such as a utility bill or a piece of mail) anytime from 9 to 12. We look forward to meeting our future kindergarten students! Don't forget to make your reservations for lunch. February is up and ready for sign-ups! On Saturday, January 21, 2017, students from Edgewood Primary School, Edgewood Intermediate School, and Stinesville Elementary School competed in the first annual Richland-Bean Blossom VEX IQ Robotics Competition at Stinesville Elementary. In addition to these three schools, there were seven other schools that participated in the event from surrounding counties. Students worked in teams during the first semester of the school year to build a robot that was able to move balls from one area of a field to another in a one minute time frame. In partnerships, students worked collaboratively with a pair from another school to accumulate points toward a teamwork challenge. The competition focused on communication, teamwork, and problem solving. All three schools were able to participate in this venture thanks to a grant from the TechPoint Foundation for Youth, and all three elementaries look forward to continue growing the program in future years. For more information, you can search “VEX IQ” online. We're excited for our 100th day celebrations! 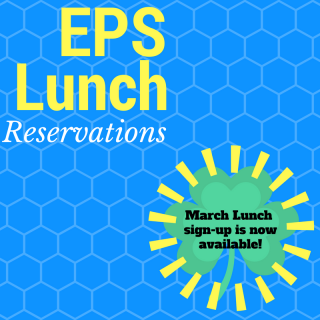 If you are interested in coming in for lunch, we have a new reservation system! 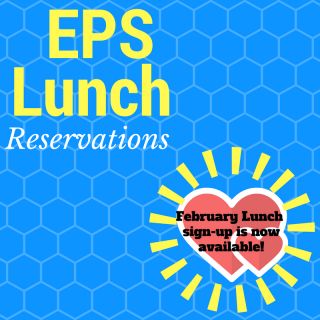 Please go to http://signup.com/go/VkZcnp to see when you can visit your child for lunch! Our fall fundraiser packets, with money, are due Monday, October 31st. Please make sure to get those envelopes in your student's backpack, we cannot take late orders. Thank you for all of your support in helping us spruce up our playground! Our picture re-takes are scheduled for Tuesday, October 4. If your child was absent on the first fall picture day, don't worry! They will get their picture taken on this day and we will be sending home order forms soon. If you would like re-takes, please send in your unwanted picture package, with your child, on re-take day and your child can get a new picture taken. School will be closed Thursday, September 22nd due to parent teacher conferences. Please check with your child's teacher to sign up for your conference! Conferences will be scheduled from 11 am to 7 pm on Thursday. Parents are invited to come to EPS to meet with their teachers and ask any questions that you might have! The 2nd grade parent night is Thursday, August 25th at 5:30 pm. The 1st grade parent night is Thursday, August 25th at 6:00 pm. The Kindergarten parent night is Monday, August 29th at 6:00 pm. There will not be child care for this event. 8:40 am- School begins. Students will be tardy after this time. 9:10 am- School begins. Students will be tardy after this time. We are looking forward to a wonderful year with our students! School will reconviene on Thursday, August 4th. Registration for new students will be held on Monday, July 25th and Tuesday, July 26th and registration for returning students will be held Wednesday, July 27th through Friday, July 29th. We hope that our families have a wonderful summer break! Please park in the front of EPS and enter through the front doors. Please do not arrive early due to traffic flow. Awards ceremonies last approximately 1 hour. Our rescheduled Kindergarten Open House, for our incoming kindergarteners, will be Friday, May 20th from 6:30-7:30 p.m. If you have not yet setup the new Family Access, we are asking that you do so as soon as possible because the old version will be turned off on March 17th. After Harmony 2 is shut down, Harmony 3 will be updated to have all of the same features as Harmony 2 but in a more user friendly view.